Standard removable tray with black velvet and labels of silver background. 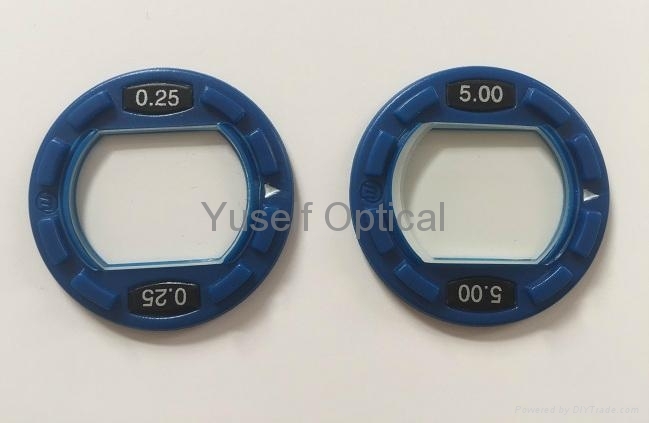 Reduced-aperture trial lenses, 48pcs prism lens included, of accurate power degrees and perfect outlook finish. Plastic rims with power marks stuck well on both sides of each handle. 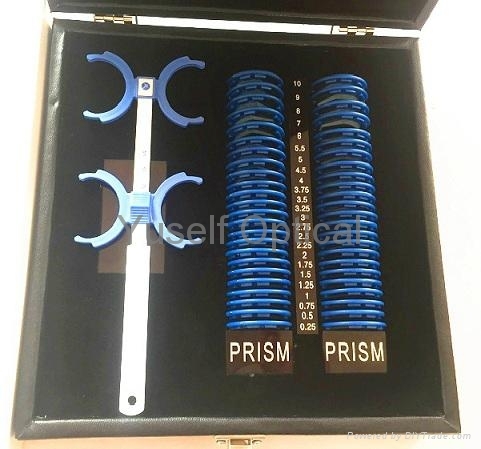 With a plastic trial lens holder, PD adjustable. With a leather case in hard texture and the combination lock on it ensures its safety perfectly.